SCANDIA-GERMANIA legal offers its clients a full-service trademark practice in the USA, which covers all aspects of the filing, prosecution, and protection of federal and state trademarks. 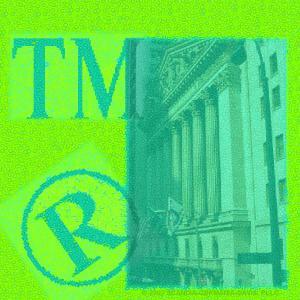 (Please see a few of the firm's representative trademark matters.) The firm can also arrange for and assist American clients in filing for trademarks, not only in Europe via the OHIM - HABM, but throughout the world via the Madrid Protocol. The firm's practice includes pre-application (USA) trademark screening searches, registrability opinions, the filing of Section 44(d) and §44(e), intent to use, and use-based applications, research and drafting of infringement opinions, preparation of responses to Office Actions, drafting and filing of renewal applications under § 9 as well as Section 8 and § 15 Affidavits, Statements of Use, and Affidavits of Use, and the preparation for and filing of Opposition and Cancellation proceedings. The firm can also monitor and respond to the infringement of a trademark in the USA for its clients. In appropriate situations, the firm can initiate contact with potential infringers and assist in protecting your mark by drafting and sending appropriate cease and desist letters. The firm is also prepared to initiate and prosecute inter partes and trademark litigation proceedings, as necessary. When most advantageous, the firm drafts and negotiates licensing, assignment, consent to register, distributorship, and domain name purchase agreements. For more detailed information regarding the procedures, requirements, and protections afforded by registering your mark or logo, please see some of the more frequently asked questions regarding registering and maintaining a trademark in the USA. A law firm - law firms - lawfirm - lawfirms - attorney - attorneys - lawyer - lawyers serving the trademark USA trademarks Minneapolis St. Paul Minnesota trademark, copyright - copyrights, licensing, governmental - lobbying, patents - patent litigation and infringement, international, internet, and corporate needs of companies in the United States - U.S., Scandinavia - Skandinavien, Sweden - Sverige, Denmark - Danmark, Norway - Norge, Suomi - Finland, Iceland - Ísland, Germany - Deutschland, Austria - Österreich, and Switzerland - Schweiz as well as the Twin Cities of Minneapolis and St. Paul, Minnesota, USA. This website is available in English, German - Deutsch - Austrian - Swiss, Swedish - Svenska, Norwegian - Norsk, Danish - Dansk, Finnish - Suomi, Icelandic - Íslenska, Scandinavian.